Because our watershed is biologically significant, it’s experiencing continual growth, and it’s home to a lot of conservationists, the Fox River is fortunate to have an incredible assortment of protectors. The list of who’s doing what can be quite confusing, with an alphabet soup of acronyms. USACE – United States Army Corps of Engineers – housed in the Department of Defense. Permits for any construction in the waterway come through this office. Currently, they’re conducting a dam removal study on the Fox River. USFWS – United States Fish and Wildlife Service – jurisdiction over migratory waterfowl. They operate the Natural Wildlife Refuge System, which includes the Fox watershed’s own Hackmatack National Wildlife Refuge. USGS – United States Geological Survey – the sole scientific study agency in the Department of the Interior. They operate real- time stream gauges that monitor flow rates. NPS – National Park Service – also in the Department of the Interior, operating the National Parks and monuments for historic preservation and recreation. NPS will designate the Fox River as a National Recreational Water Trail. NRCS – Natural Resource Conservation Service – in the Department of Agriculture. Originally formed as the Soil Conservation Service after the Dust Bowl in the 30’s, this agency provides technical and financial assistance. IDNR & WDNR – Illinois & Wisconsin Department of Natural Resources – responsible for protecting our flora and fauna resources. Their major focus is on management of state lands/parks for habitat and recreation. They manage the states’ game and endangered species. Your hunting and fishing license fees are essential in maintaining both human and natural resources. Enforcement and education are also components of their missions. Both agencies have had drastic cuts in their budgets over the last several years. ISWS – Illinois State Water Survey – a Division of the Prairie Research Institute of the University of Illinois at Urbana-Champaign. The Survey is a leader in providing research on surface, ground, and atmospheric water resources. The Fox River Study Group has relied heavily on their assistance. 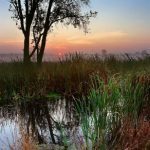 IEPA – Illinois Environmental Protection Agency –Illinois was the first state in the nation to adopt a comprehensive Environmental Protection Act. It was signed into law by Governor Richard Ogilvie and became effective on July 1, 1970. As a part of that act, the Illinois Environmental Protection Agency was created. The mission of the Illinois EPA is to safeguard environmental quality, consistent with the social and economic needs of the State, to protect health, welfare, property and the quality of life. Among the very wide array of responsibilities are: effluent discharge permit regulation and enforcement, pollution event response, and education. IPCB – Illinois Pollution Control Board – a quasi-legislative and quasi-judicial body that adopts environmental regulations and hears contested cases, effectively acting as an environmental court of law. It determines, defines, and implements environmental control standards in accordance with the Illinois Environmental Protection Act. INPC – Illinois Nature Preserve Commission – their mission is to assist private and public landowners in protecting high-quality natural areas and habitats of endangered and threatened species; in perpetuity, through voluntary dedication or registration of such lands into the Illinois Nature Preserves system. There are 48 Illinois Nature Preserves and 114 protected natural areas in the Illinois side of our watershed. CMAP – Chicago Metropolitan Planning Agency – created in 2005 by the Regional Planning Act, it is a unit of government whose purpose it is to effectively address the development and transportation challenges in the northeastern Illinois region. SEWRPC – Southeastern Wisconsin Regional Planning Commission was established in 1960 as the official area-wide planning agency for the highly urbanized southeastern region of the State. The Commission serves seven counties. SEWFRC – Southeastern Wisconsin Fox River Commission – established in 1997 by Wisconsin Act 27, in response to citizen and community concerns over water resource problems in the Fox River. 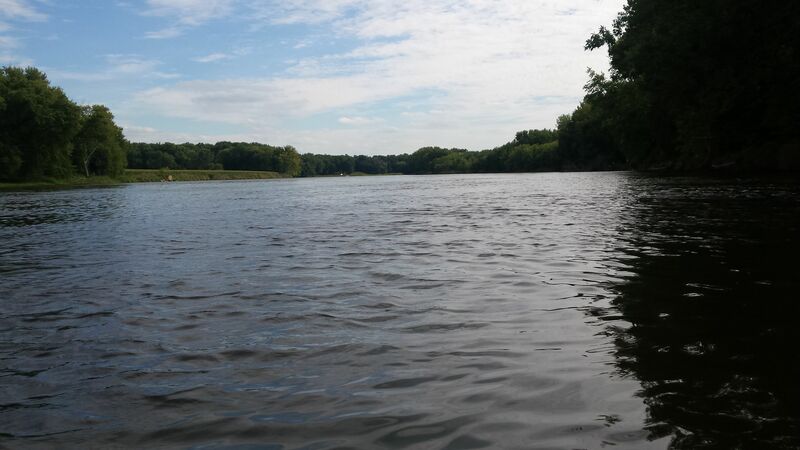 It holds the authority to carry out a number of programs and measures designed to improve water resource conditions in the Fox River. Programs include: research, education, and project implementation. They host the annual Fox River Summit. SWCD – Soil and Water Conservation Districts –formed in 1947 under the “Soil and Water Conservation Districts Act” of 1937. They charged through this act to assist in conserving and protecting the land, water, air and other resources of the state. They provide a variety of services including consultation, project support, and education. Kane County FPD & McHenry County CD – Forest Preserve & Conservation Districts – the Downstate Forest Preserve District Act of 1913 created an opportunity for a taxing body for the purpose of acquisition, preservation, and management of lands, and their flora and fauna, for the purpose of education, pleasure, and recreation of the public. This established a system that has preserved huge expanses of land, and is still growing in every county in the watershed. All the watershed’s districts are increasingly active in preservation and restoration efforts. County Governance – Each county has a department (with various different names) that deals with managing water resources. Many provide education, assistance, and regulation. Campton Township supports Friends of the Fox River water quality sampling, acquires open space, and participates in ecological restoration on its sites. Dundee Township has acquired and is aggressively managing more than 800 acres as part of their Open Space initiative. Their most recent acquisition, Jelke Creek Bird Sanctuary is a model of gravel pit restoration. FREP – Fox River Ecosystem Partnership – established in 1996 as an IDNR initiative to develop collaboration among groups and implement projects. They developed the Fox River Integrated Management Plan in ’98. It has served historically as a conduit for State and Federal grants, bringing over $11 million to our watershed. 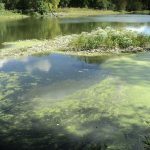 upon scientific methodology, they developed the IEPA endorsed Fox River Implementation Plan, which recommends methods to reduce nuisance algae and phosphorous levels, and increase dissolved oxygen levels. The goal is to remove all sections of the Fox River from Impaired Waters status. IWL – Izaak Walton League, Elgin – this chapter of the national affiliate was formed in 1932. The “Ikes” were the first citizen scientists to monitor water quality in the U.S.
FOFR – Friends of the Fox River – FOFR is the only watershed-wide advocacy voice for the Fox River. Our Watershed Watchdog program involves 3000+ students annually in water quality monitoring of their local streams. Many other initiatives connect people to nature through advocacy, education, restoration, and research. Home base is our Schweitzer Environmental Center. MCDEF – Environmental Defenders of McHenry County – their history began in 1969 when the Fox Valley Freeway was proposed. 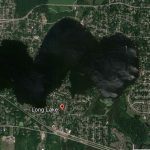 Since then, they have been on the front line, working closely with local, municipal, and county government while advocating for a healthy environment. They are a very diverse and active group. TCF – The Conservation Foundation – founded in 1972, this is one of the region’s largest not-for-profit land and watershed conservation organizations with 19 paid staff and two demonstration campuses. They primarily work in DuPage, Will, Kendall, and Kane Counties. In addition to their unequaled land preservation efforts, they operate a wide variety of restoration and education initiatives. Most of these groups have developed formal plans that have inventoried conditions, threats, and suggested projects to address the threats. Most municipalities are taking actions to reduce impacts to Fox River water quality through wastewater treatment infrastructure improvements, Best Management Practices (BMPs), implementation projects, storm water management initiatives like rain gardens and bioswales, and public education. These also include their Park Districts that manage very large properties. Don’t forget the Illinois Smallmouth Alliance! Over 400 members state-wide. They do water willow plantings, cleanups, fishing and kayaking outings and a picnic on the Fox River each year. I ride my bike along the fox river every day that it isn’t icy. Last week we noticed phosphate suds in the river at the dam in North Aurora. I wasn’t sure where report this. I love our river and the ecosystem and am happy to help out at the clean up day. Thanks for posting the info where I could hear about it. Great site! Gary, I’d also mention the Prairie State Canoeists and ECO in Oswego, who have been doing clean-ups on the Fox since 2008.